Bringing in new owners will help to make up for those investors who move on from investment properties and client turnover happens to even the best property managers. 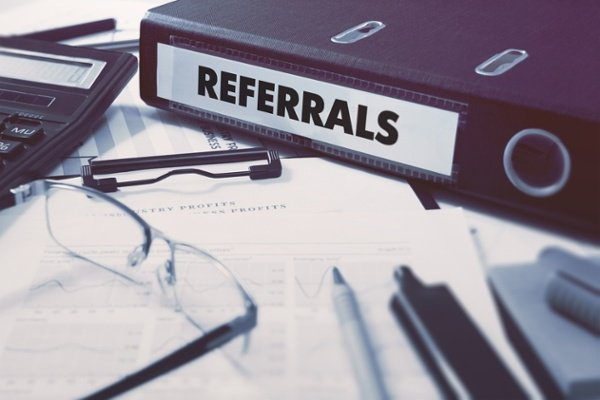 The good news is there are a lot of potential referral sources in the field right now; you just have to learn how to tap into that potential, network, and build relationships through creating a Realtor Referral Program. Use the following steps to create a referral program. Many people open their emails in the hopes of obtaining a good deal. Email has quickly become the most efficient and effective communication channel for B2B relationships. Emails give you the chance to reach out to realtors in an unobtrusive manner (the realtor can open the email at their convenience). With a targeted email campaign, you can easily attract the attention of realtors by offering them a commission on the leads they send your way. Promote your referral program on social media to acquire email addresses from realtors who are interested. Once you have their email address, you can start with a drip campaign that explains the referral program. From there, realtors can decide if they would like to opt-in. Always encourage email recipients to forward the emails to other realtors they believe would be interested in taking part in your referral program. Your website is already a tool for generating leads, and adding a page for your referral program to bring in realtor leads is the first step. This type of web page is called a landing page, and you’ll want to use the inbound methodology to help your landing page get found as well as convert. On your page, you should have all the relevant details about your referral program, as well as a form that realtors can fill out to contact you to get started in your program. Ensure this page follows good inbound practices and include the information the realtor is going to want to find on this page. Don’t force them to call you to discuss the opportunity; you’ll risk losing many people that would have otherwise converted. Detail your commission structure, so they know how the program will benefit them and don’t forget to include the services you provide to owners. Remember any owners they send your way are their clients, they aren’t going to send them to just anyone. Build trust through transparency. Chances are the landing page alone is not going to be enough to get the program launched. You’ll need to promote the program across all of your digital marketing spaces such as social media pages. Consider also using your personal social media pages to join groups and local networking events to talk with realtors one on one about your program. Be authentic, don’t just spam groups with a link to your landing page, people will scroll right past that. Search specifically for realtors who do not work in property management when focusing your efforts. Use inbound methodology again, create relationships by providing the information people want when they want it and when they are ready they will contact you. You'll also want to consider using social referrals to boost your conversion rate and land new clients. Just like everyone else these days, realtors use the internet to look for ways to increase their income. By taking part in a referral program, they can earn money as they push leads your way. When a realtor refers a person to your landing page, this is known as a social referral. Social referrals can stem from social media, an email, instant messaging, and more. When you garner a high number of social referrals, you'll receive a viral boost, meaning your website is starting to gain extra traffic because realtors are pushing people to your landing page. Social referrals and viral boosts go hand in hand with high conversion rates. Word-of-mouth advertising is by far the most effective marketing method, and it always has been. There’s nothing better than receiving a personal recommendation by a close friend or colleague to confirm a purchasing decision. Because of this, you should always encourage realtors you have relationships with to refer new customers to you. You could even offer something like a double payout for each referral they send your way who signs a contract. The point is, you never know which realtors might want to join a referral relationship unless you ask. The best of the best referral program can quickly turn sour if you don't organize it properly. Anything and everything to do with the program should be appropriately documented before deploying a referral program. Take the time to create a document that outlines its policies and procedures. When asking realtors to join the program, you'll need to provide this documentation and have them sign off that they understand how the program works. Just the same as you, realtors are looking for customers. Instead of offering a one-way referral relationship where the only realtor sends customers your way, you could offer to send customers their way. Reciprocal referrals can take place both online and offline. Online, you can agree to exchange website links. When you publish blog posts, you will link out to the realtor's site, and the realtor company will link to your site in their blog posts (this is great for SEO). You can even go so far as to integrate links to each other's websites in your email campaigns. 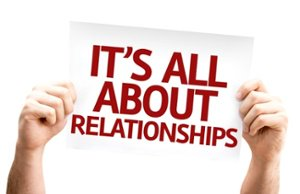 Pay close attention to which referral relationships are proving the most valuable. After a few months, if you discover a particular relationship is bringing in a steady of stream of income thanks to new clients, you may want to consider setting up a second referral program that pays that partner a higher commission rate. Remember, the higher the commission, the more devoted that Realtor will be to sending new clients your way. Probably the most notable tip to follow when creating a realtor referral program is to target the right realtors. After all, a realtor isn't going to send a property owner your way that wants to sell a home. If the realtor does, you may end up talking that person into renting out the house and letting you be the property manager. Realtors you want to target for a referral program are going to be those that help property owners who want to buy a home but don't want to sell their old properties. Setting up a referral program is simple, and the rewards are worth the effort. 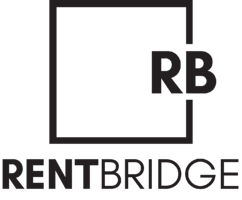 If you need help creating a landing page, building your referral program, or creating a game plan for success, contact Rent Bridge. Want to learn more? Download our comprehensive guide to creating your own game plan now.